1000 Shillings serves the ultra poor by empowering women to create sustainable local businesses that provide for their families and create economic prosperity in the community. Partnering with local organizations, each year 1000 Shillings supports business training and mentorship for a cohort of motivated mothers as well as a $200 grant to start a business based on the women’s knowledge of what kind of business will be sustainable in their community. After successfully establishing their business, women of 1000 Shillings are able to grow their business and cover other family financial needs through membership in an independent savings and loans group, established by 100 Shillings, but solely governed by the women. 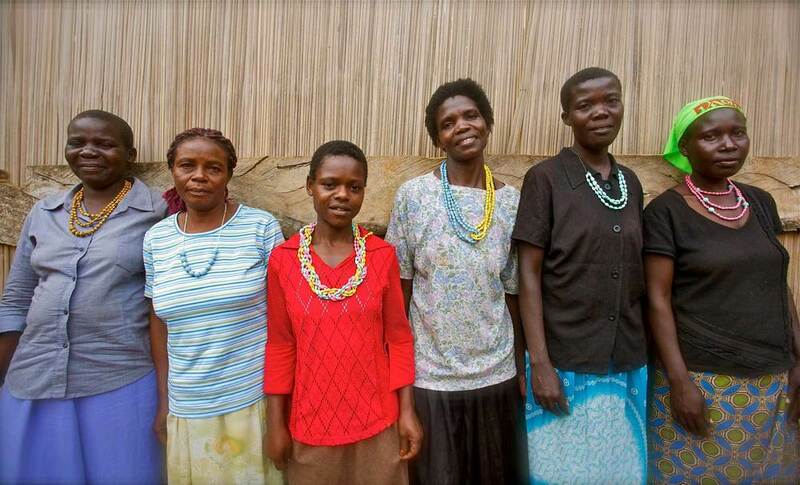 Donations and the sale of Ugandan artisan products provide financial support for each new class of women entrepreneurs. Combined we have worked in Nepal, China, Thailand, Mexico and Italy and have found inspiration and made friendships with women around the world. However, it was not until working closely with six women of Uganda's Namatala slum in 2012 that we fully understood the impact that small enterprises run by women can have on the success of a family and community. 1000 Shillings was born in the Namatala slum. While working in Uganda with single mothers, we realized many of the mothers were creative, industrious individuals who had ideas and hopes to start their own businesses – they just lacked the capital to begin. 1000 Shillings started with the aim of filling this need. 1000 Shillings became the name of the company based on the amount of money that the average woman in the Namatala slum lives on per day – approximately 1,000 Ugandan Shillings ($.40). The Crested Crane is the national bird of Uganda. This animal symbolizes the beginnings of 1000 Shillings working with six Ugandan women in the Namatala slum of Uganda.